The Jesuit Center at Loyola University New Orleans presents an evening with the St. Louis Jesuits, one of the most popular liturgical music groups for the past three decades. The concert, part of Loyola Week’s Centennial celebrations, takes place Monday, Nov. 5 at 7:30 p.m. in Louis J. Roussel Performance Hall. Reserved tickets are $15, $10 for Loyola faculty and staff and $5 for students. There are also VIP tickets available for $60, which include reserved seating, a reception with the artists, and a signed copy of their book, “The St. Louis Jesuits: Thirty Years.” For tickets, visit www.etix.com. For more information, visit http://mm.loyno.edu/jesuit-center/come-experience-st-louis-jesuits or call 504-865-2304. As young seminarians at St. Louis University, Tim Manion, Dan Schutte and Jesuit Fathers Bob Dufford, John Foley and Roc O’Connor brought the ancient traditions of the church into the present with acoustic guitars and simple melodies. Accompanying them on stage next month will be a choir of Loyola students and liturgical choir members from several local Catholic parishes in the archdiocese. 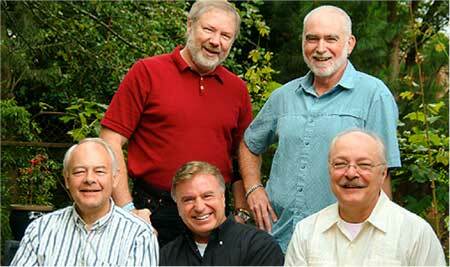 Considered by many to be the pioneers of contemporary American liturgical music, the group popularized contemporary liturgical music in the 1970s and 1980s, and their songs are still sung around the world today. They are known for writing popular Catholic hymns such as "Be Not Afraid" and "Here I Am, Lord." They have also been nominated five times for a Grammy Award, and in 2005 America magazine wrote, “Together these five men revolutionized American Catholic liturgical music." After releasing several best-selling collections as a group, the five decided to work and write music independently, with several members releasing solo albums over the years. In 2001, they came together again for a surprise performance at a pastoral musicians conference in Washington, D.C. Over the next few years, they gathered new material into what became “Morning Light,” a reunion collection released in 2006. Other albums include “Neither Silver Nor Gold,” “Gentle Night: Music for Advent and Christmas” and “Lord of Light.” The group also published “The St. Louis Jesuits: Thirty Years,” a beautifully designed coffee table book with dozens of full-color photographs.